Wastesavers started life in 1985 as a small voluntary organisation, raising awareness about material reuse and recycling. Since then it has grown into one of the largest community projects in Wales, employing some 70 people. 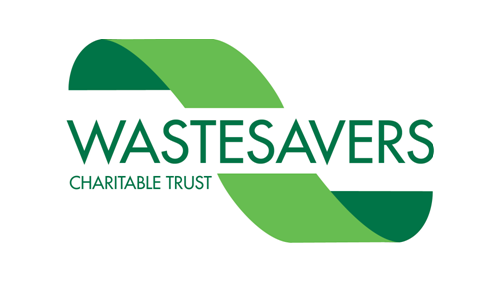 The organisation comprises two elements: Wastesavers Charitable Trust Ltd and Wastesavers Recycling Ltd. The dual nature of the organisation’s structure means that Wastesavers are ideally placed to deliver professional services, whilst at the same time developing activities that raise awareness and encourage participation in reuse and recycling, throughout all areas of the community. These include Kerbside Recycling, that services all of the city’s 56,000 households and Business Recycling Service, which goes to 600 businesses and collects paper, cardboard, cans, plastic bottles and ink cartridges from offices. Wastesavers is also involved in community projects including the Community Furniture Project, which collects quality used furniture and white goods which are passed on to people in receipt of benefits and helps over 2000 people every year; and ‘Something to Wear’ a clothing shop “Something to Wear” in the heart of Newport City Centre. It also offers training in Waste Management and Recycling Operations and employment opportunities for the unemployed and those on probation wanting to re-integrate back into the community. Wastesavers started life in 1985 as a small voluntary organisation, raising awareness about material reuse and recycling. It was an environmental organisation whose main objectives were to improve the environment of Newport. It has built on this core activity and now operates a number of environmental, social and educational projects in South East Wales. The Welsh Government’s 70% recycling target for 2025– including 52% by 2012-13 - has made recycling and waste reduction high on the environmental agenda in Wales. Also the biodegradable waste targets that have seen kerbside food waste collections rolled out as the norm. In addition, whilst the crash of the recyclate market in 2008 saw material value bottom out at negative £ per tonne, prices in 2011 have returned to pre-2008 levels and a high value achieved for paper, plastic, metals and textiles. Wastesavers has recently acquired a new computer recycling business that recycles computers and their parts and delivers this service through social and employability programmes and working with homeless people, older people and disabled people. Plans are to expand this aspect of the business to capture more WEEE (waste electronic and electrical equipment) that is currently ending up in landfill and to use this resource to provide social value to the local community. It is also looking to further develop its commercial recycling provision to be able to provide a comprehensive service to businesses in a wider geographical area.